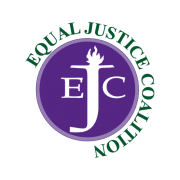 The Equal Justice Coalition (EJC) is a collaboration created by the Massachusetts Bar Association, Boston Bar Association and the Massachusetts Legal Assistance Corporation committed to ensuring that low-income people in Massachusetts have access to legal help when they have a civil (non-criminal) legal problem. The Coalition includes representatives from bar associations across the Commonwealth, law firms and legal services programs who together work to protect and increase the state appropriation for civil legal aid (budget line item 0321-1600, the Massachusetts Legal Assistance Corporation). For more information on the EJC, visit http://www.equaljusticecoalition.org.